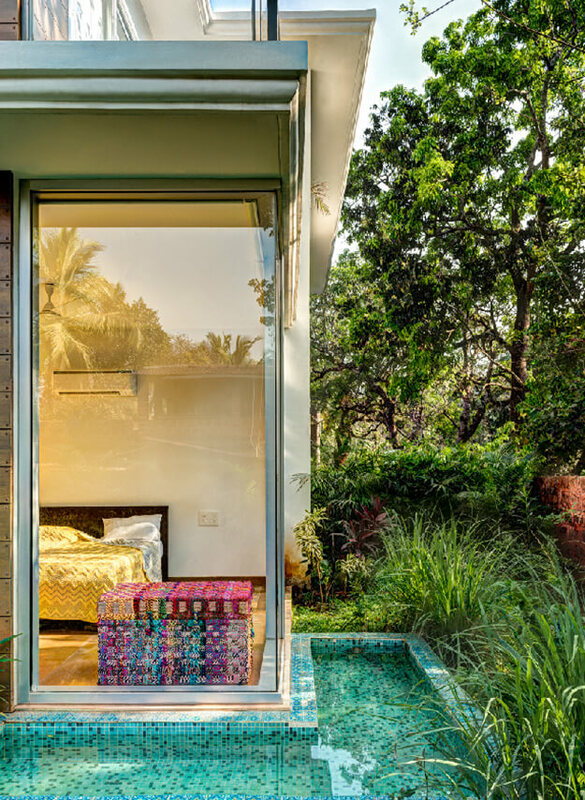 Welcome to bird song at Santaa Rosa in the quaint village of Siolim. 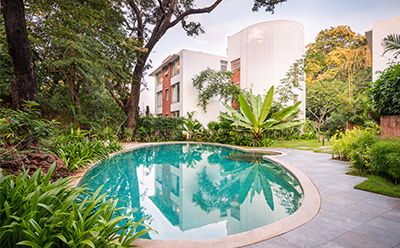 Multitude species of our feathered friends, from flameback woodpeckers to the Indian roller, and kingfishers, flock to the large trees that surround the property. 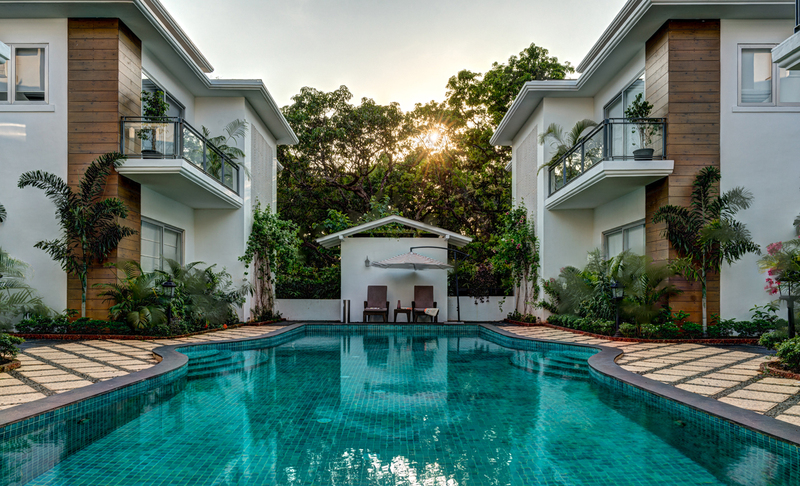 You will be hard pressed to remember that you’re inside an apartment complex, because the low rise blocks have been designed to look like four large villas with the large pool as a sparkling blue centrepiece. 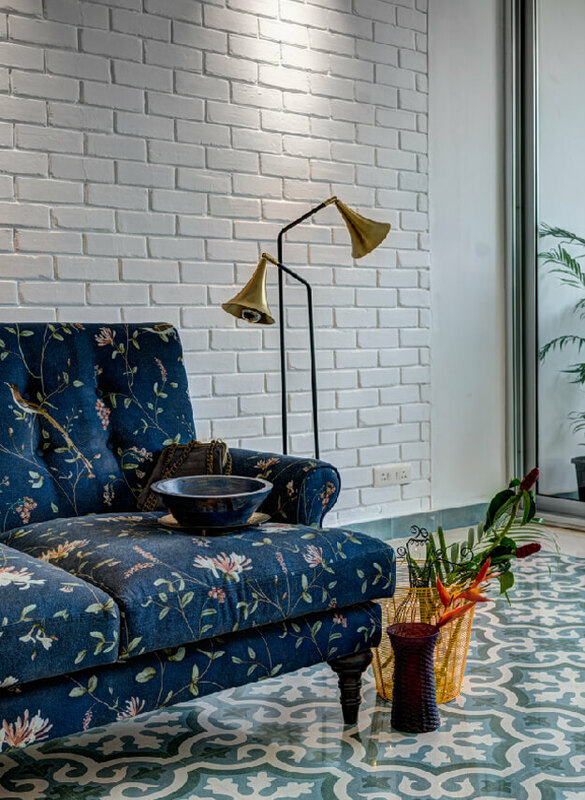 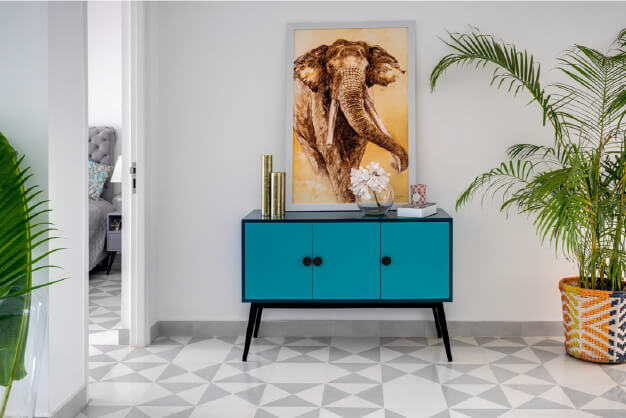 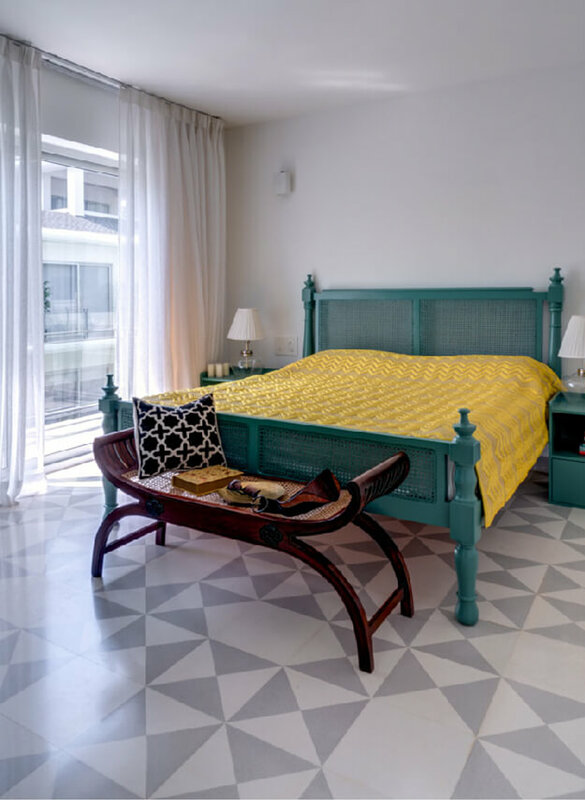 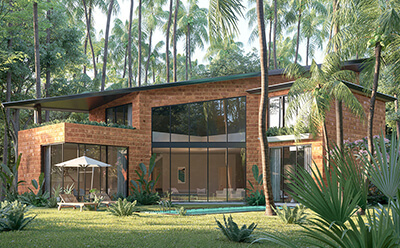 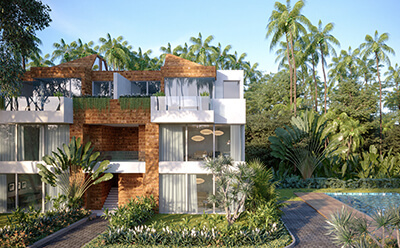 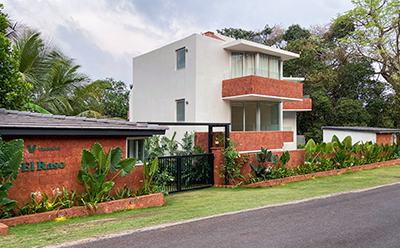 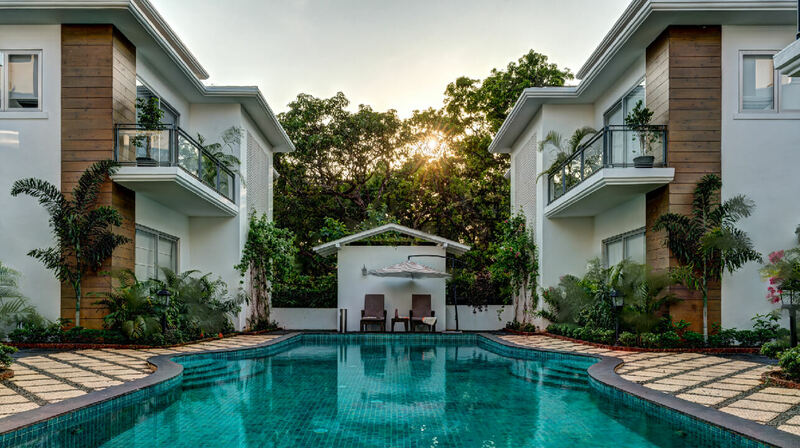 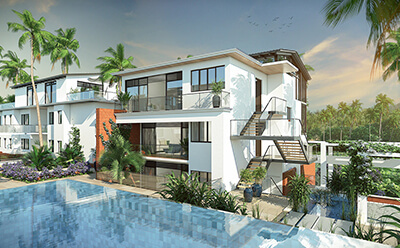 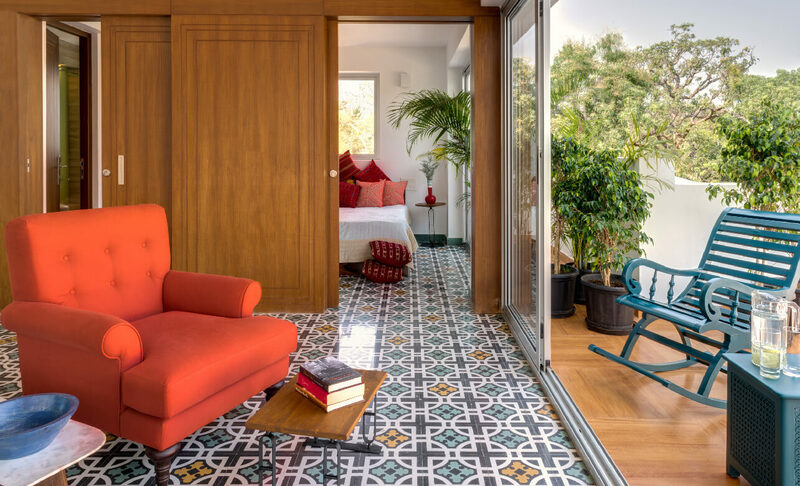 Spacious gardens on the ground floor, large terraces on the top floor, and tall glass windows that welcome the fresh Goa breeze and dappled sunlight through soft sheers add to the charm and beauty of Santaa Rosa.